Jackie Graduated in 1984 with a First Class Honours Degree in Fine Art. She has exhibited in group exhibitions in the UK and USA including the National Portrait Gallery London, the Royal Academy, The Royal Festival Hall and Manchester United Stadium Gallery. A prize-winner four times for her paintings at the Williamson Art Gallery Merseyside. She has been featured in Cheshire Life Magazine, Manchester Evening News, Stockport Express, CAMRA Magazine and has been interviewed on Pure Radio. Her work is in the permanent collection of The Victoria and Albert Museum National Art Library, Stockport Art Gallery and many private collections. Jackie has had solo exhibitions at Salisbury Arts Centre, Bayham Abbey in East Sussex sponsored by English Heritage, Direct Line Insurance Manchester, Stockport Art Gallery and Buxton Museum. 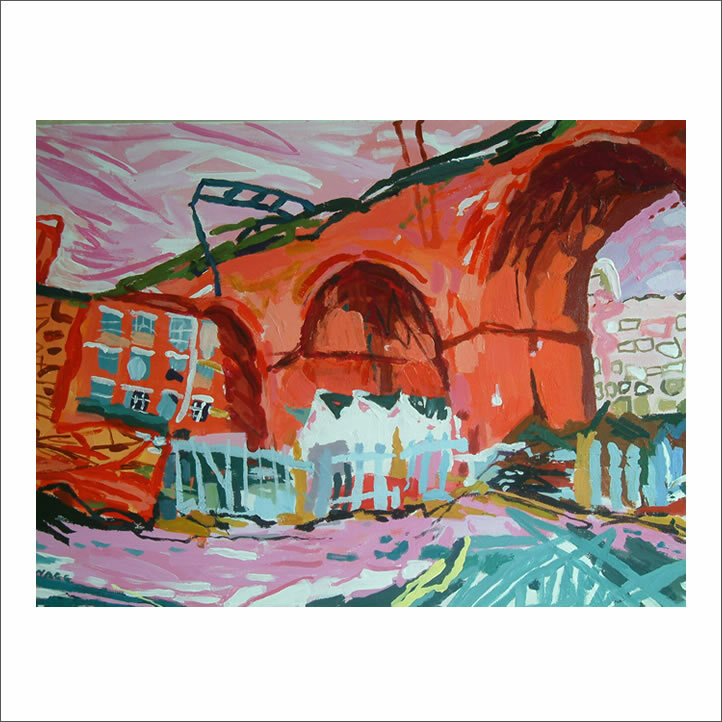 Her work is of the urban North West, particularly Manchester and Stockport where she lives, and parts of the coast of Britain where she has had a connection over time. She is as teacher of art at Aquinas College and her studio is in Stockport.